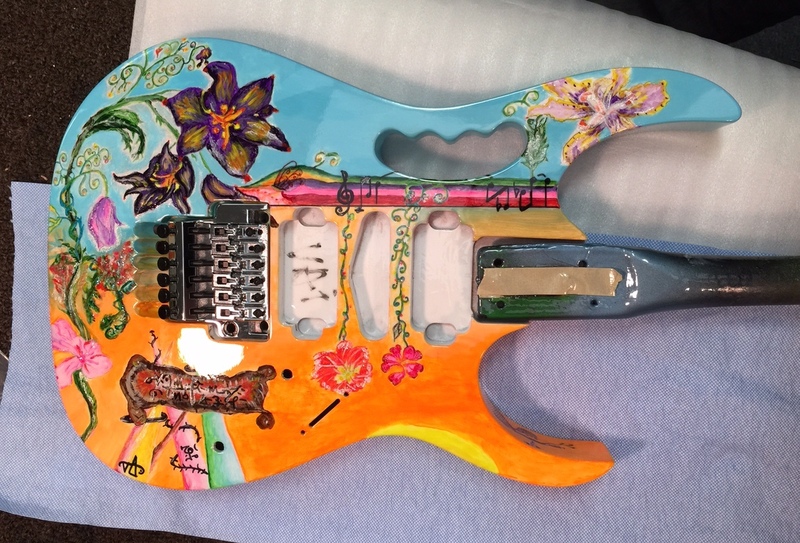 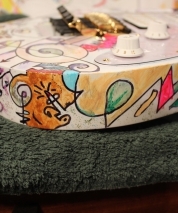 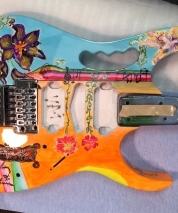 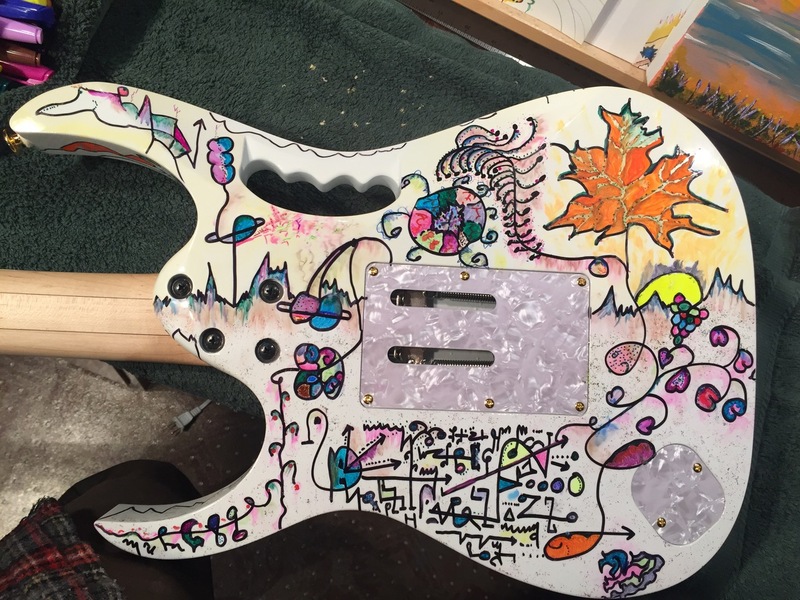 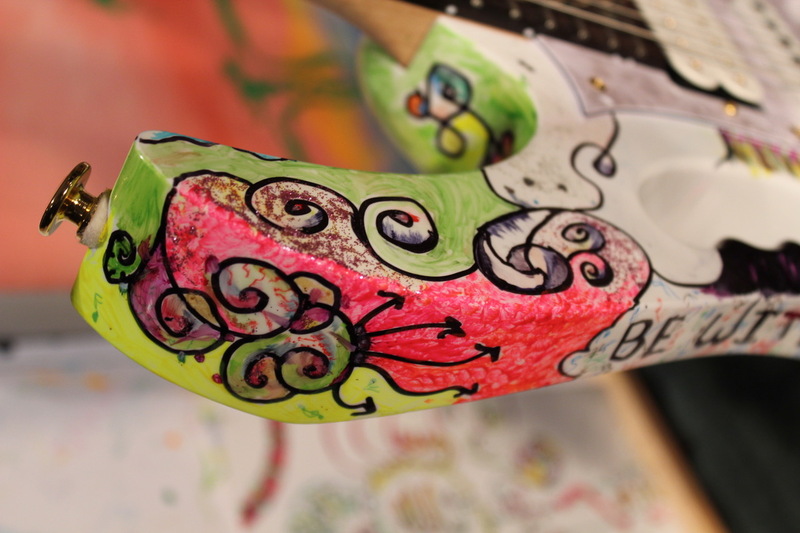 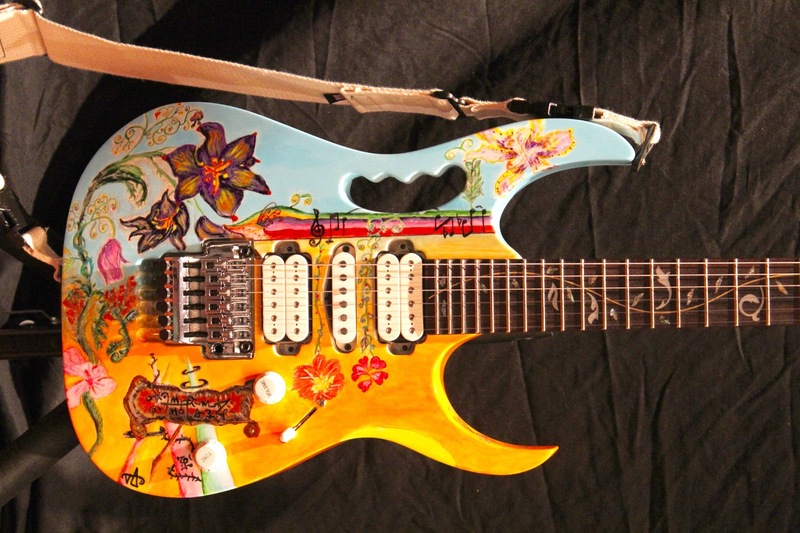 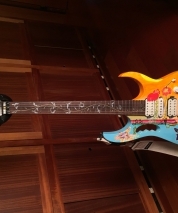 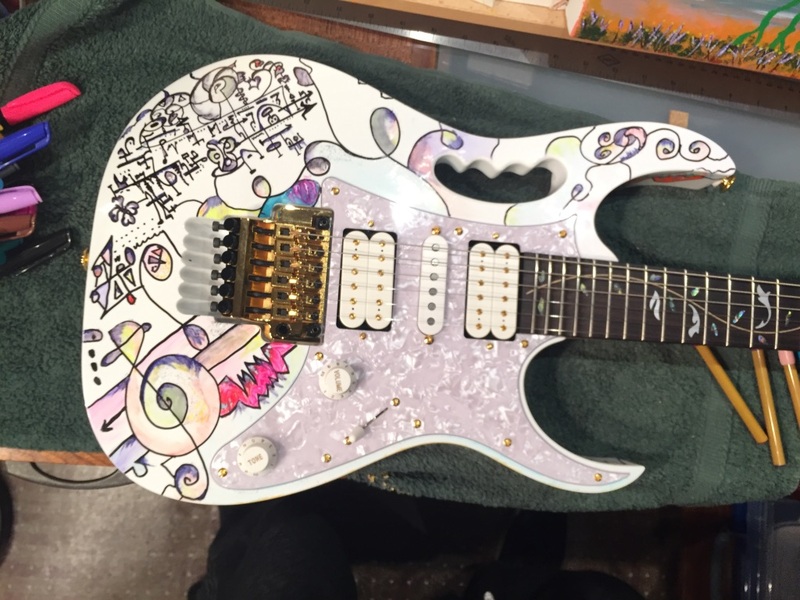 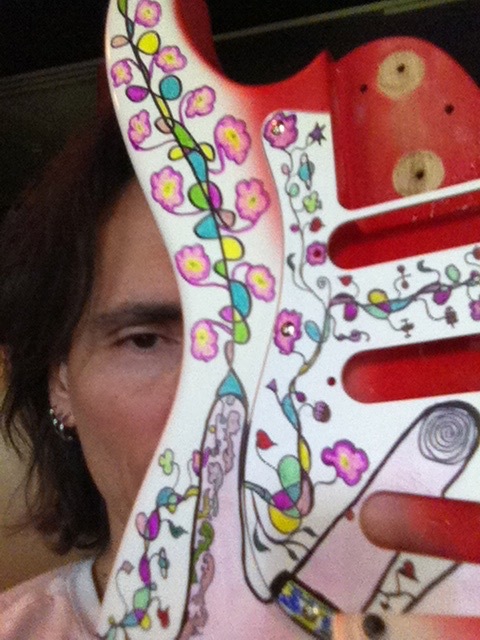 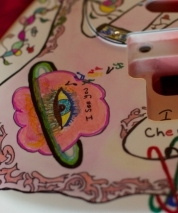 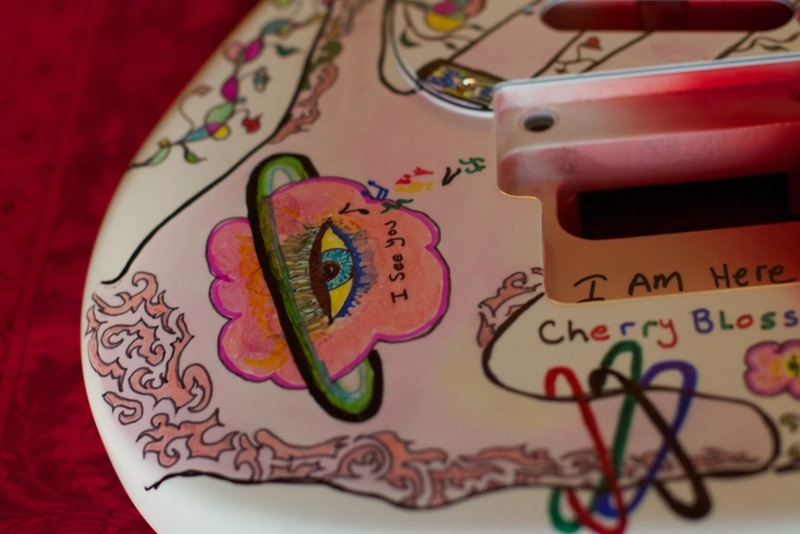 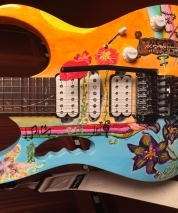 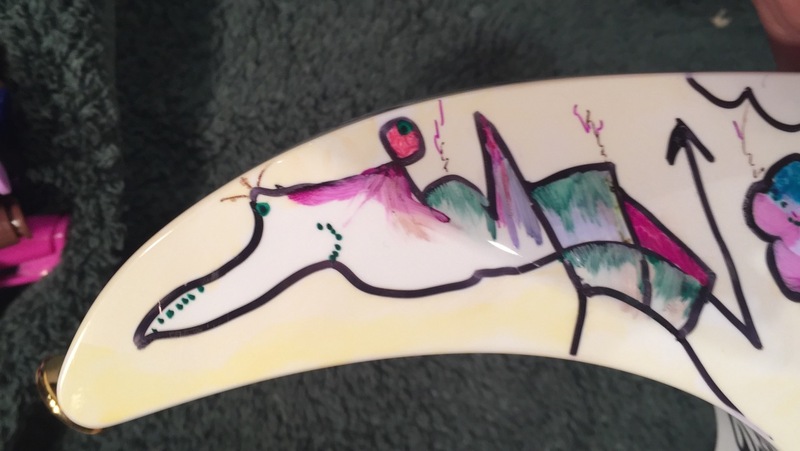 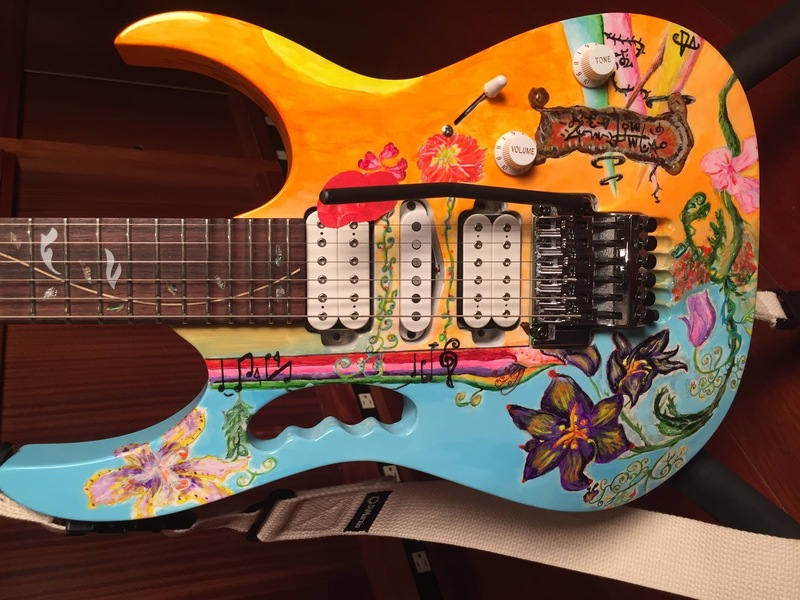 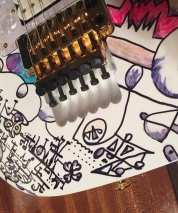 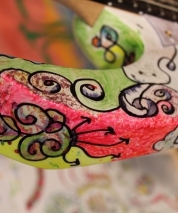 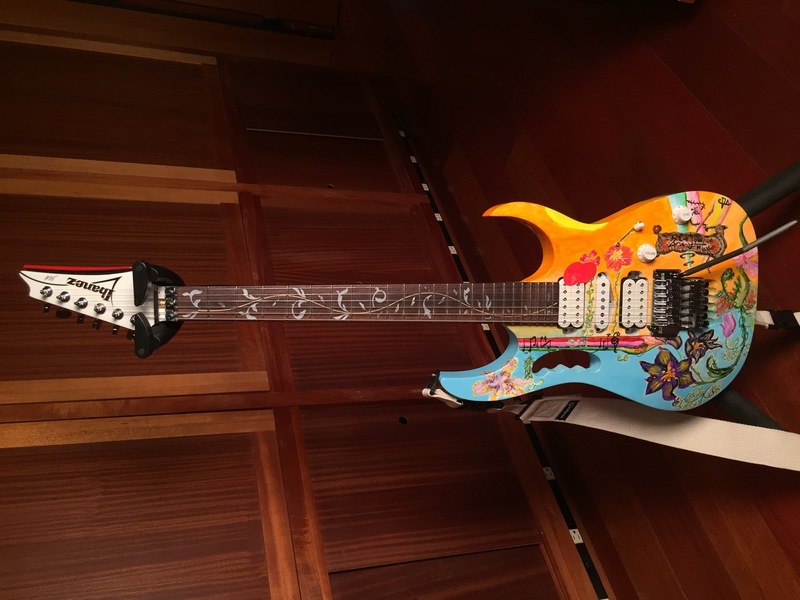 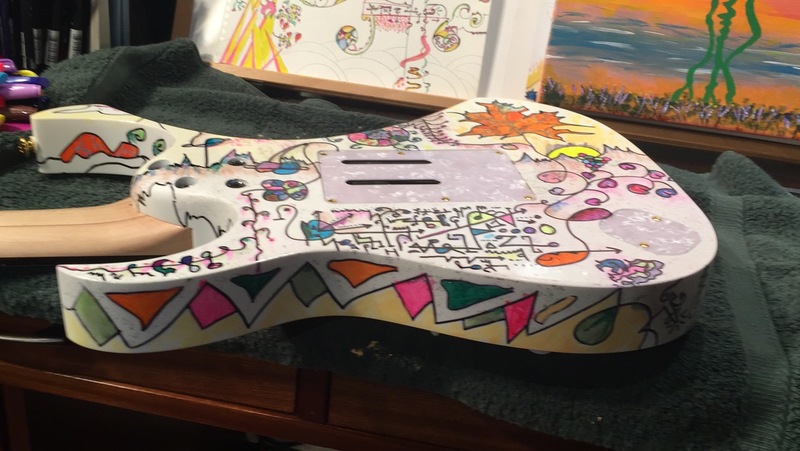 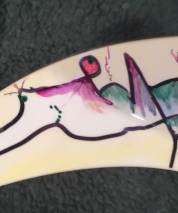 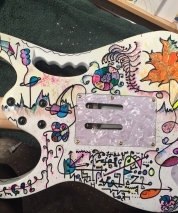 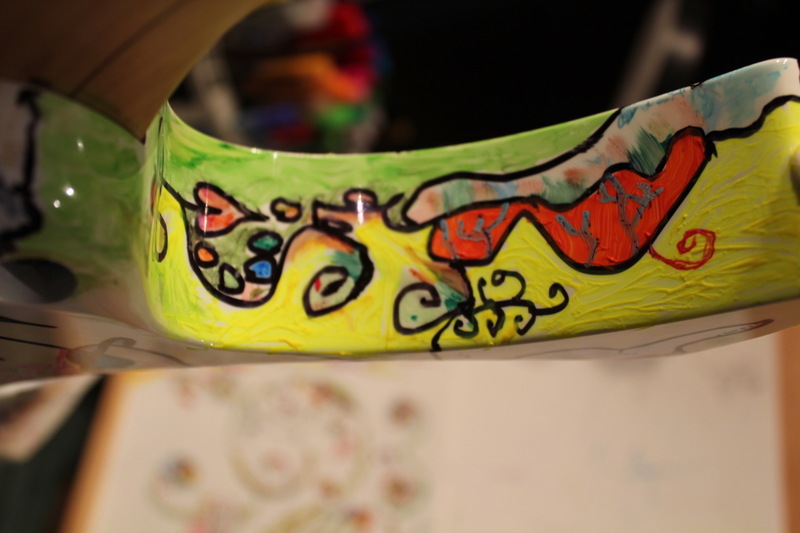 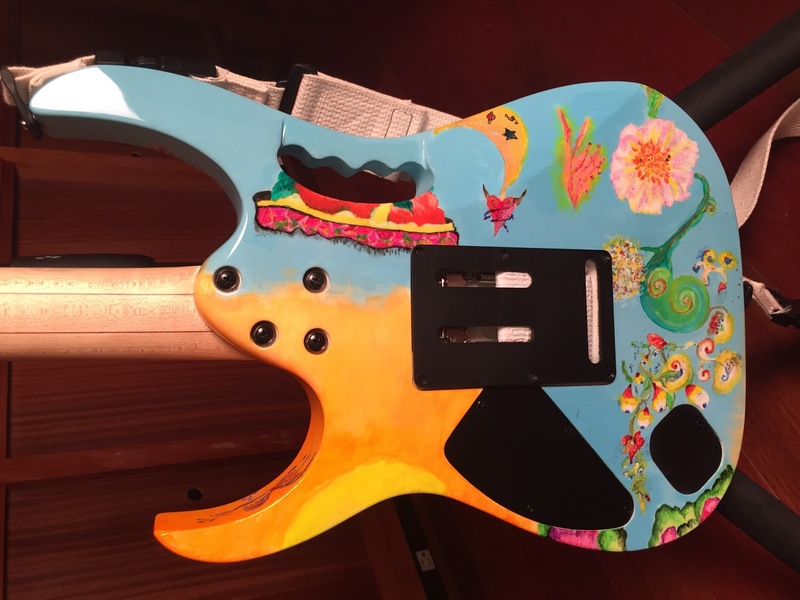 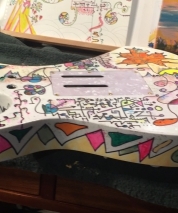 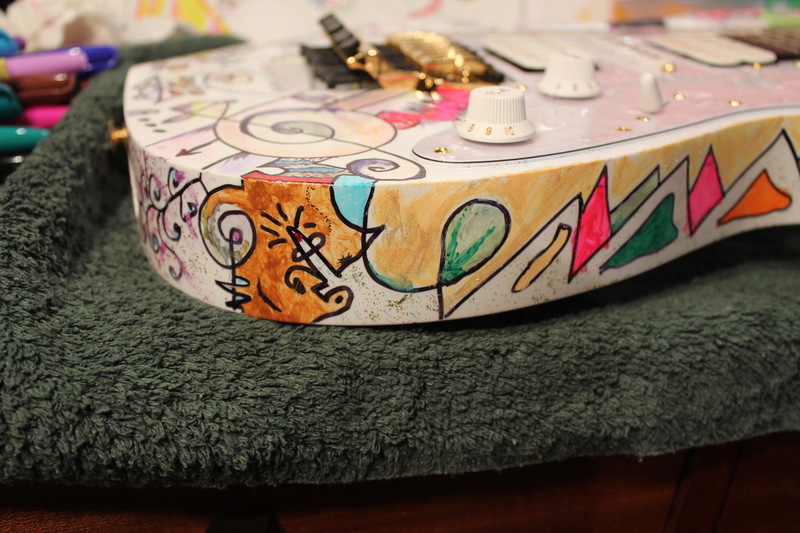 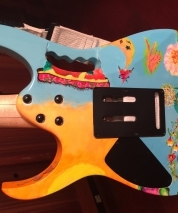 When I started doodling with art, I decided to paint a few Jem bodies and the colorful guitar I used in the “Dark Mater” video was one of them. 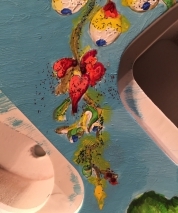 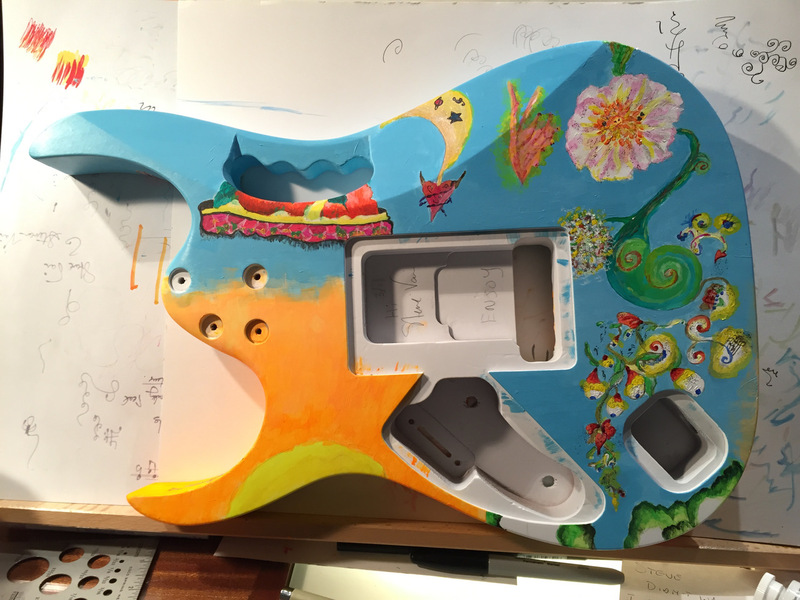 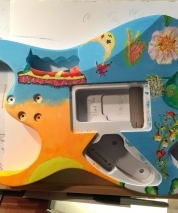 I’ve painted 4 guitar bodies so far. 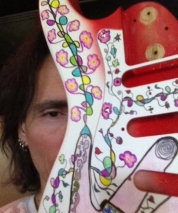 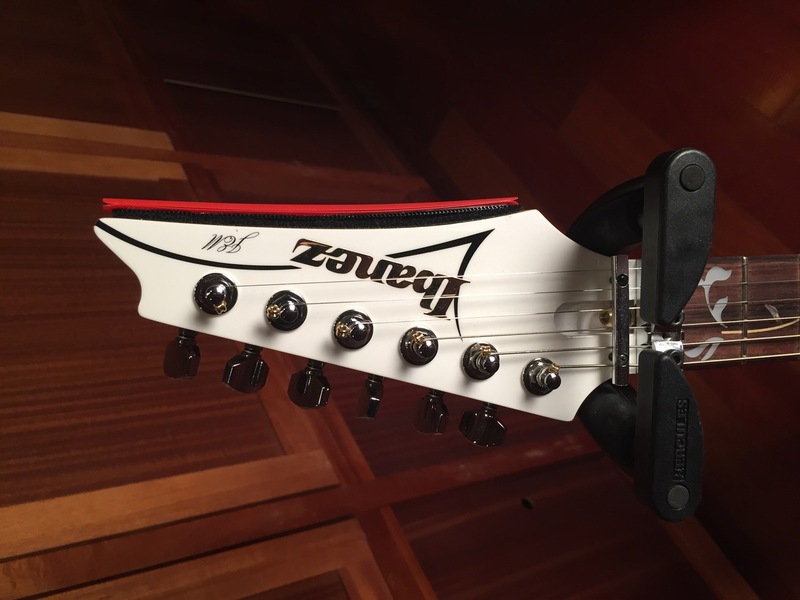 Two were Ibanez Strat style guitars I did some years ago for the “Experience Hendrix” tour. 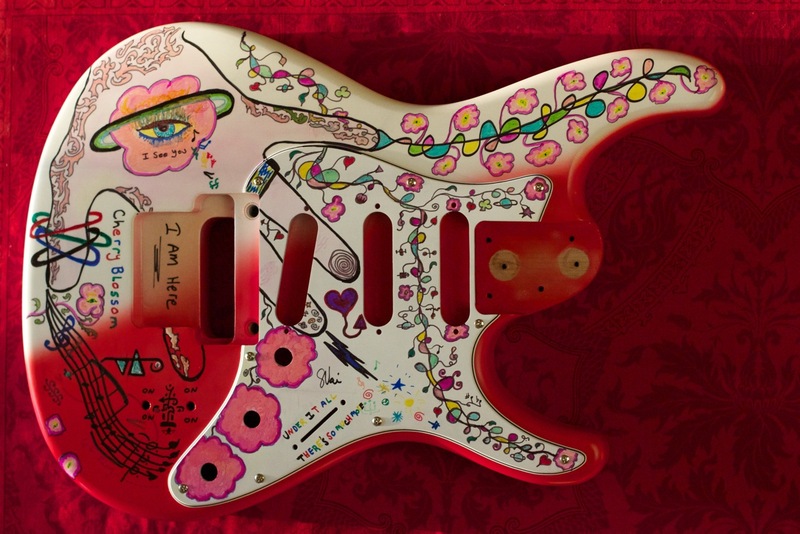 One of them, “Girly”, is used quite a bit on tour these days. 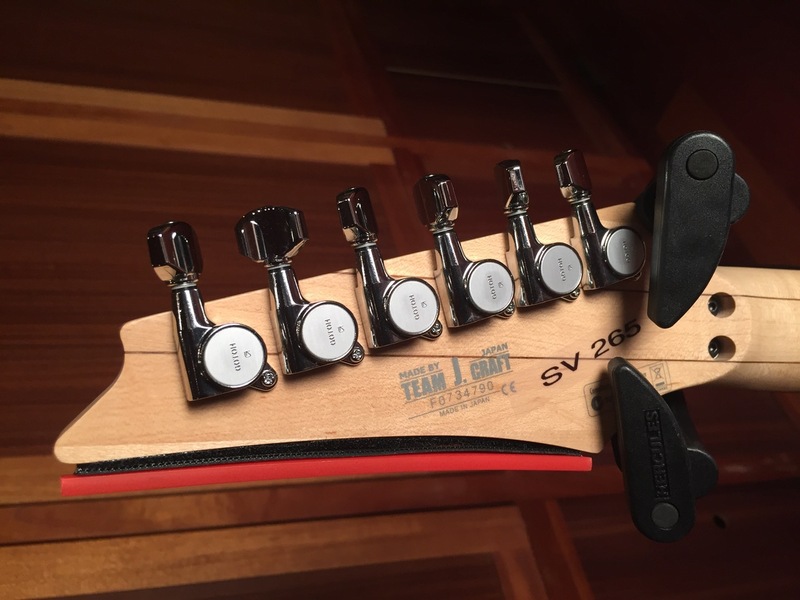 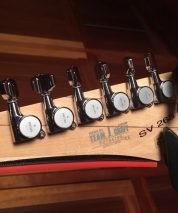 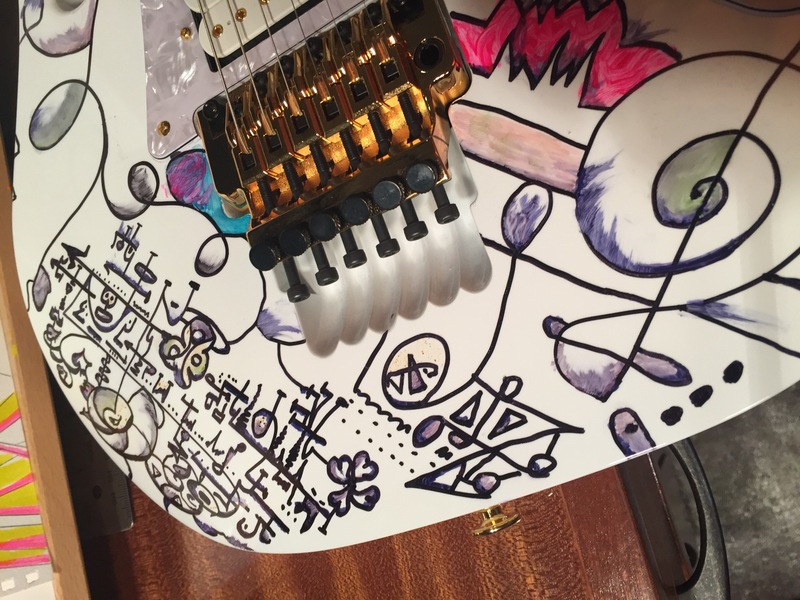 It’s tuned down a whole step so I use it on songs like “Gravity Storm”, and “John the Revelator”. 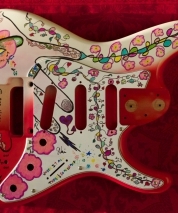 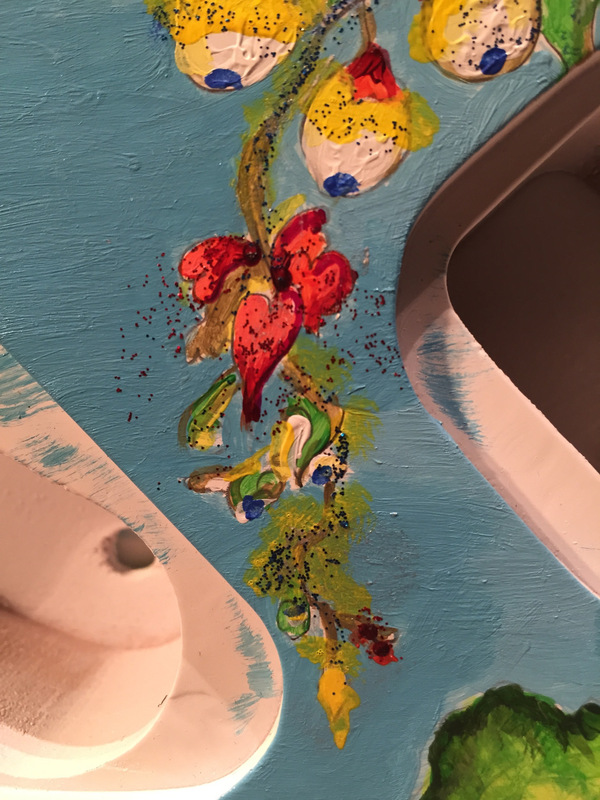 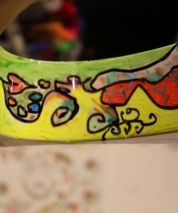 The other one is “Cherry Blossoms” and was raffled off on the Story of Light tour for charity. 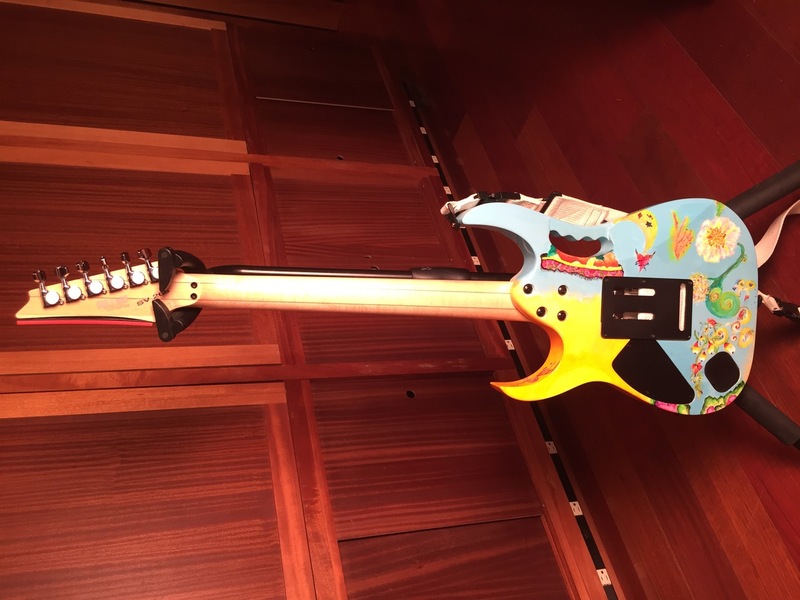 Someone won it for a dollar, but we raised about $15k for the “Make A Noise Foundation”. 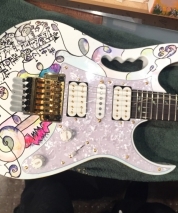 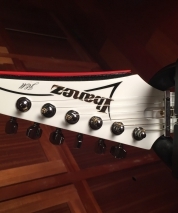 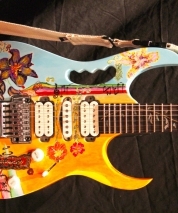 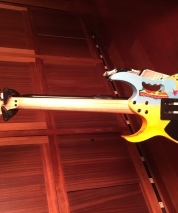 Also shown below is the guitar used in the Dark Matter video, and another Jem called “Be With the Note”.